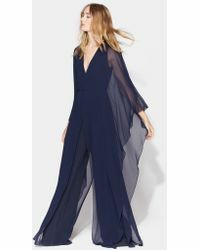 Halston Heritage was introduced in 2010 as an exciting, fresh new diffusion line from American label Halston. 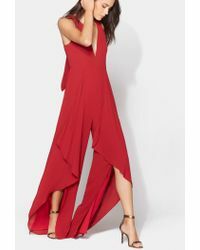 Famed for its Studio 54 jumpsuits, tuxedo separates and glamorous evening gowns, the Halston signatures reign supreme through this collection, while an accessible, wearable vibe gives a modern update. 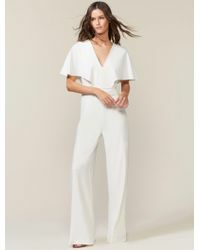 Halston Heritage jumpsuits are the ultimate statement pieces for a show-stopping evening ensemble, lending an inimitable 70s flair to your wardrobe. This collection dazzles with plunge décolletages, tuxedo lapels, sumptuous satins and plenty of sequins 'perfect teamed with a clutch and your favourite killer heels.